Figure 9.1 FAX Gateway panel. 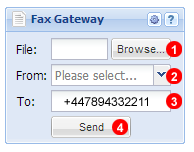 Click Browse to select which file you want to send via fax. Select from which number you want to send it. Input number to which you want to send your fax. 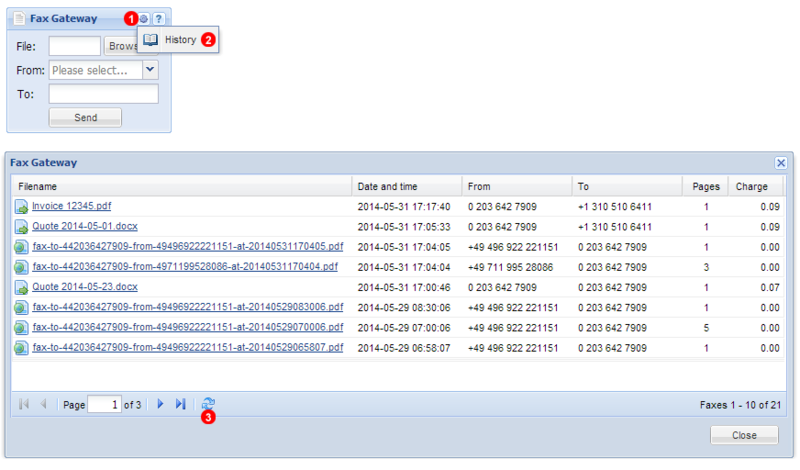 Figure 9.2 FAX History window. History window will appear, appears on left of sent faxes and is shown for received faxes. Click Refresh button (3) to update list.